Storms are expected to continue into Monday evening. An EF-1 tornado about 50 miles south of the Dallas area ripped off the roof of a school Monday. At about 8:30 a.m., eyewitnesses reported seeing a small tornado pass above the town of Corsicana, toppling trees and power lines. Gary Woodall of the National Weather Service confirmed an EF-1 tornado with winds up to 90 mph hit the Robert E. Lee Center, also known as the Lee Academy. The tornado was on the ground for 4/10ths of a mile and was 200 feet in width. Ten structures in Corsicana were damaged. 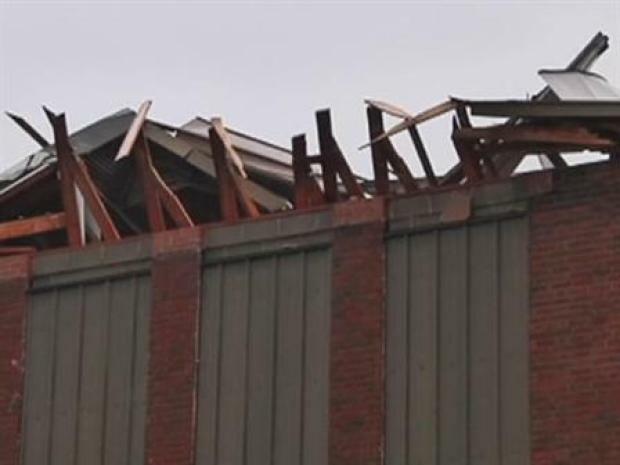 An EF-1 tornado damaged the roof of a school about 50 miles south of the Dallas area. A teacher at Lee Academy was forced to dive beneath a table to avoid falling debris. Rob Ludwig, the public information officer for the Corsicana school district, said the teacher was unharmed and no students were in the room. The facility is an alternative education center, and the students were sent home. High-wind damage also displaced students at a private school located west of Corsicana, but Woodall said he does not believe a tornado was responsible. About 50 students where inside Sonshine Christian Academy when the storm blew through the area. The building is so severely damaged that school administrators will have to hold classes in another location for the remainder of the school year. A second storm moved across Kaufmann County, but there were no initial reports of building damage. 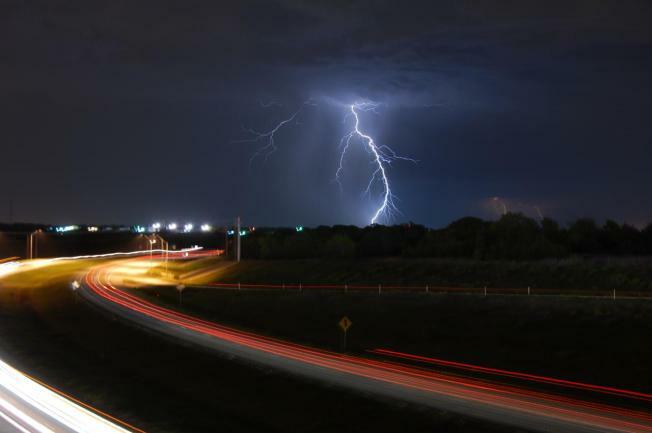 In North Texas, the storm brought wind gusts of 45 mph, lightning and heavy rains, and left thousands without electricity. Lightning strikes are believed to have sparked house fires in Arlington, Corsicana and Mansfield. In Fort Worth, two firefighters were injured when sheet rock collapsed while they were battling a fire on the city's east side. Oncor said 1,300 customers were without power in the DFW area as of Monday night, down from 15,000 outages earlier in the day. The large spring storm also stalled traffic and clogged gates at DFW Airport, delaying air travel through mid-morning. Rain and storms are expected to continue off and on through Monday the evening with gusty winds and hail a possibility. On Tuesday, isolated storms are possible with a high of 79. The chance for further precipitation dwindles on Wednesday to 30 percent with a high of 80.